Apollo XVIII is a multi-channel video installation which interprets man’s relationship to space exploration and presents an imagined mission to the moon; a mission born in the virtual age. 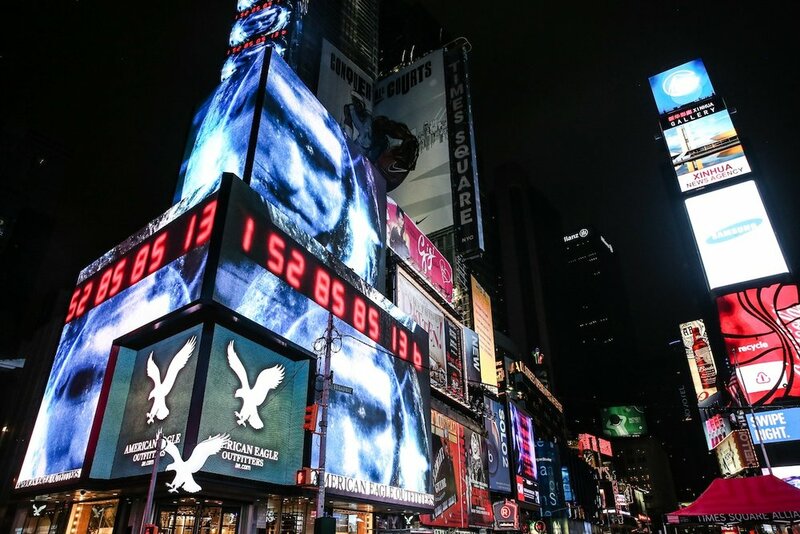 During March 2015, Times Square was transformed into a virtual launchpad as Apollo XVIII played across dozens of electronic billboards from 11:57 p.m. to midnight. In collaboration with NASA, footage was filmed at Cape Canaveral, combined with Hubble imagery, rare material from the NASA archives and original computer-generated imagery to fabricate the fictitious mission. Combining iconic moments from past and present with the wholly synthetic, Apollo XVIII presented a new collective viewing experience, calling into question the nature of fact and fiction, reality versus perception and context.